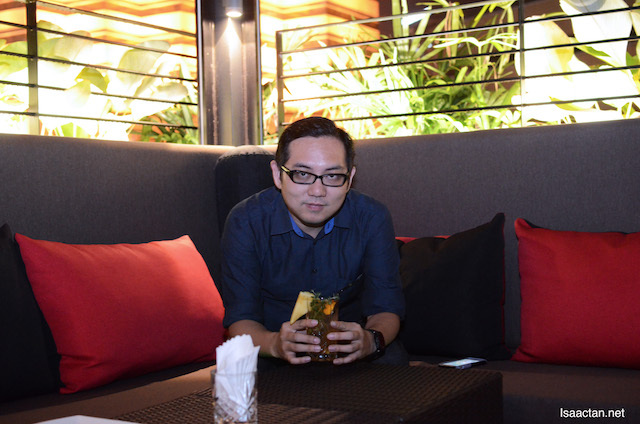 Another night out with friends, and where better spot than smack in the middle of town just next to the KLCC towers. 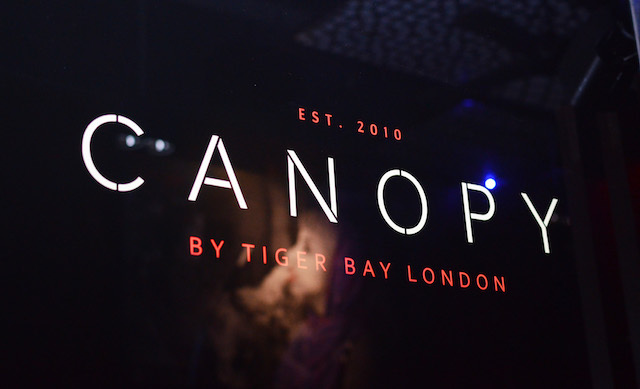 We were at Canopy Lounge by Tiger Bay London the other night, taking advantage of their Buy 1 Free 1 Mains offer as they are included in the list of merchants on The Entertainer app. It's all good, check out some of the cocktails and food we savoured that night! 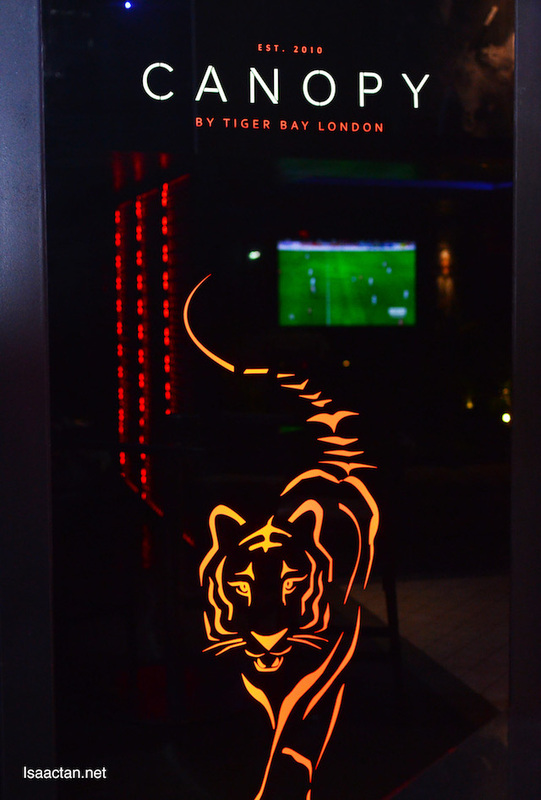 Canopy is part of the international brand by Tiger Bay London, located just a stone's throw away from KLCC. 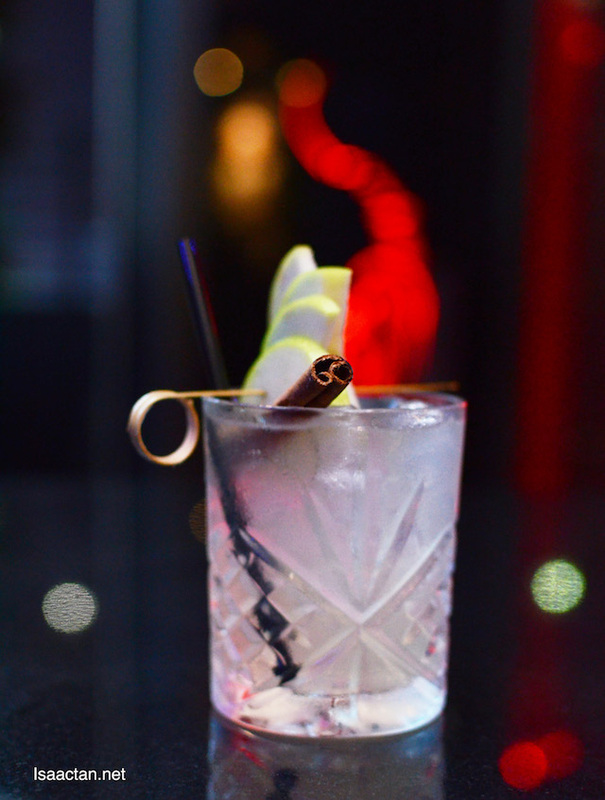 Specializing in high end cocktails and premium grade Shisha, only premium quality alcohol is being used. 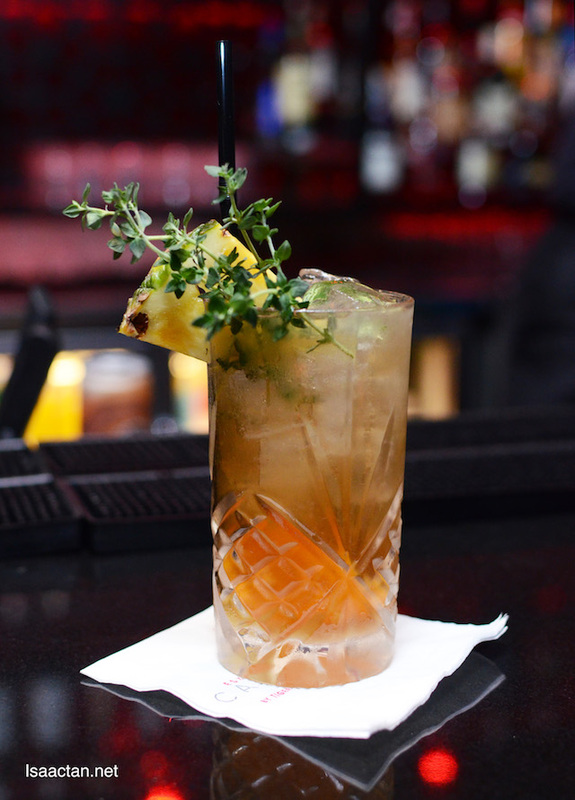 Serving wines, beers, liquors, spirits and their signature range of exciting cocktails, there's something for everyone tastes buds from Canopy's happening bar. We were treated to treat that night, watching how the bartender prepared our cocktails. Amazing ingredients used. 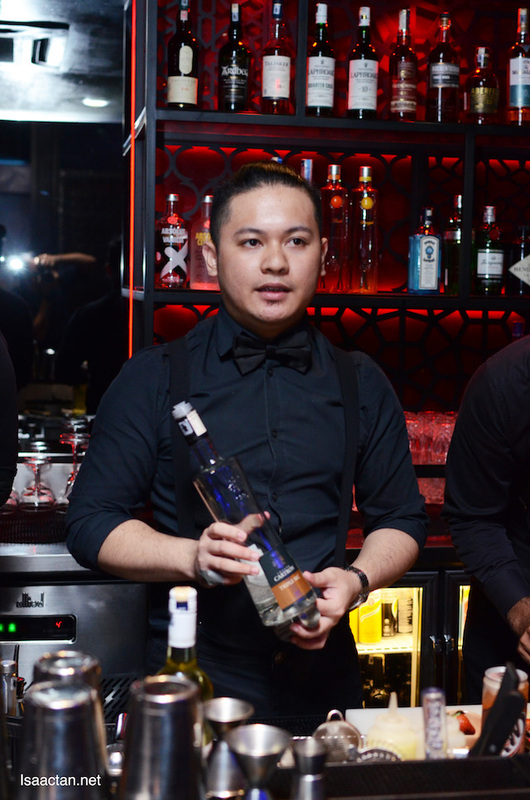 Canopy only uses premium quality alcohol and have a minimum pour of 60ml for every cocktail, not 45ml which is a lot more common for bars here in Kuala Lumpur. Check out some of the cocktails prepared for us that evening, below. We had three really nice cocktails prepared right in front of us by the very talented mixologist that night, namely the White Sangria (A mixture of triple sec, mint leaf, apple, lemon, cucumber and green grapes), Summer Fizz (with gin, Monin elderflower, grapefruit juice, white wine and soda), and Apple and Cinnamon Buck (with gin, apple shrub, cinnamon syrup, lemon juice and ginger ale). Start your meal at Canopy Rooftop Launge with some savoury starters, from Onion Bhaji, Golden Sand Eggplant, Hot Atomic Wings, Chilli Garlic Chicken, to Mutton Roll, you're spoilt for choice. We had the Mutton Roll, which surprisingly tasted awesome, considering it's not much of a looker. 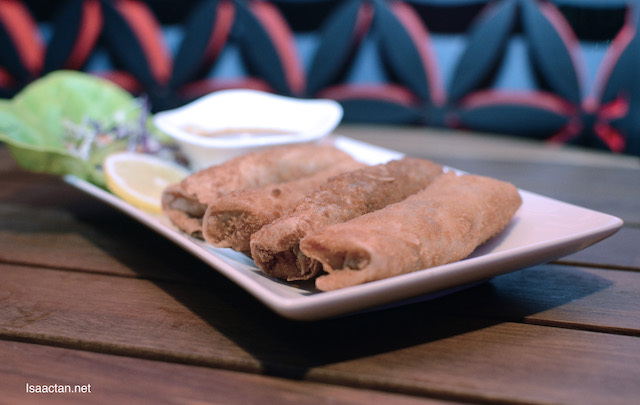 The delicious meat is cooked with traditional spices, wrapped in bread crumbs coated pancake. Good stuff. Now who doesn't love pizza? 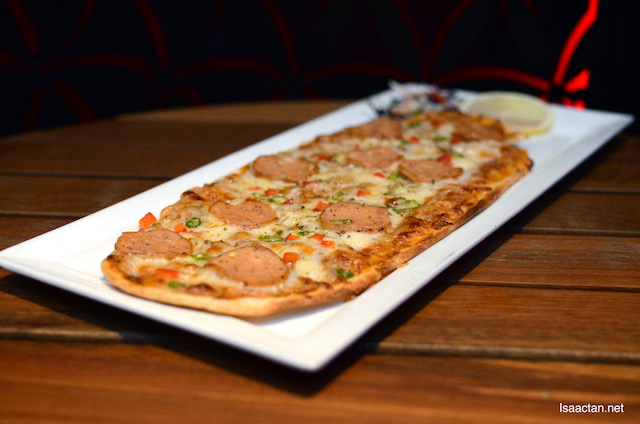 The pizzas at Canopy Rooftop Lounge are created from scratch by the chef, made with passion. 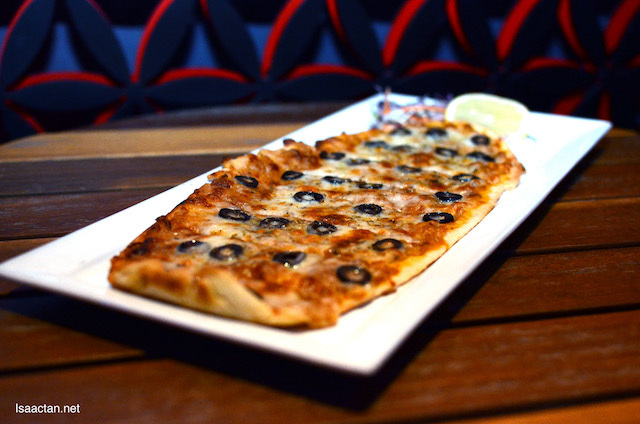 Choose from Margherita, Beef Lover or Tandoori Chicken Hot Pizza, and you're good to go. The toppings definitely made a difference in each pizza. Here comes the mains! A whole spring chicken? Why not. 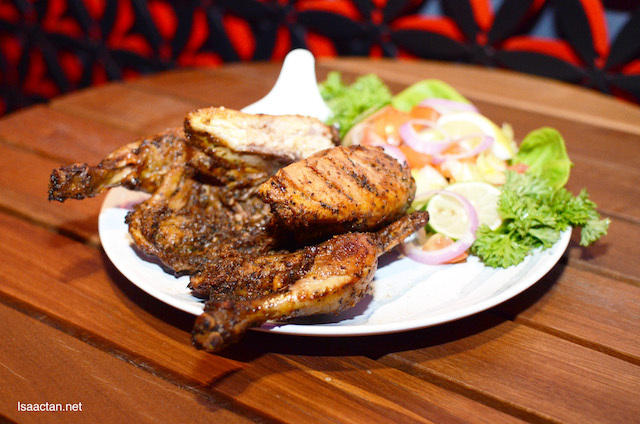 We savoured this really delicious Sajji Chicken, an aromatic full spring chicken marinated with herbs. Freshly made, it shows when we bite into the meat. Yummy. 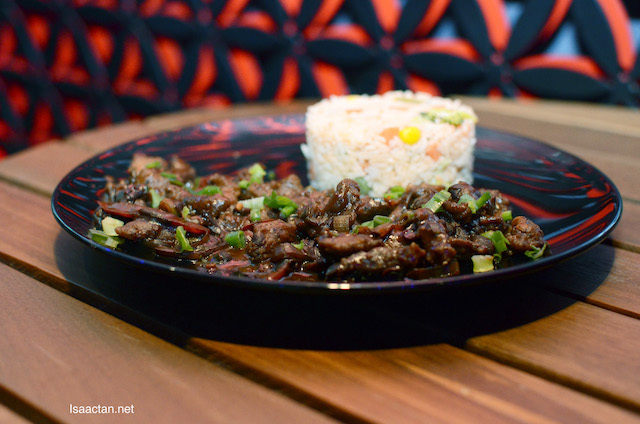 We savoured their Lamb Black Bean, fresh lamb slices tossed with black beans sauce served with vegetable fried rice. How interesting, and very flavourful! Recommended to be taken with the rice, as on its own it can get pretty salty. Don't forget their burgers! 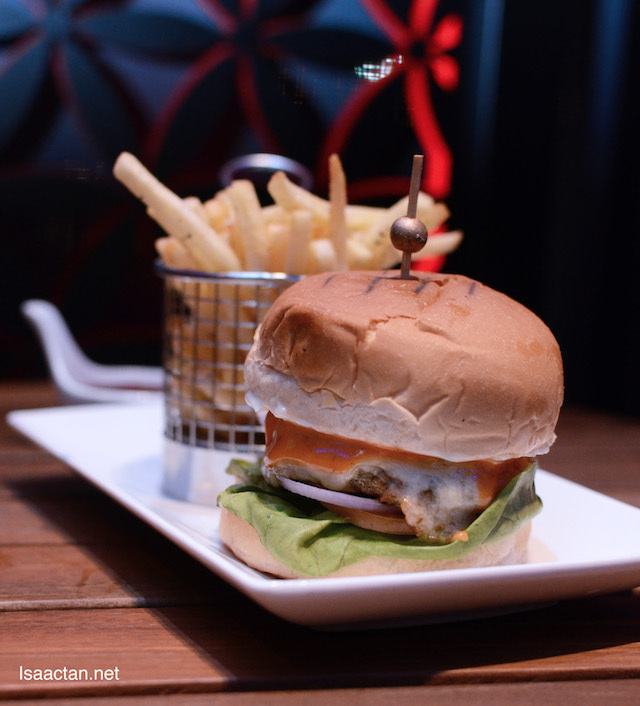 Tender chicken patty sandwiched with crispy lettuce, melting mozzarella and creamy mayo, we had the rather large portioned Juicy Chicken Burger that evening. 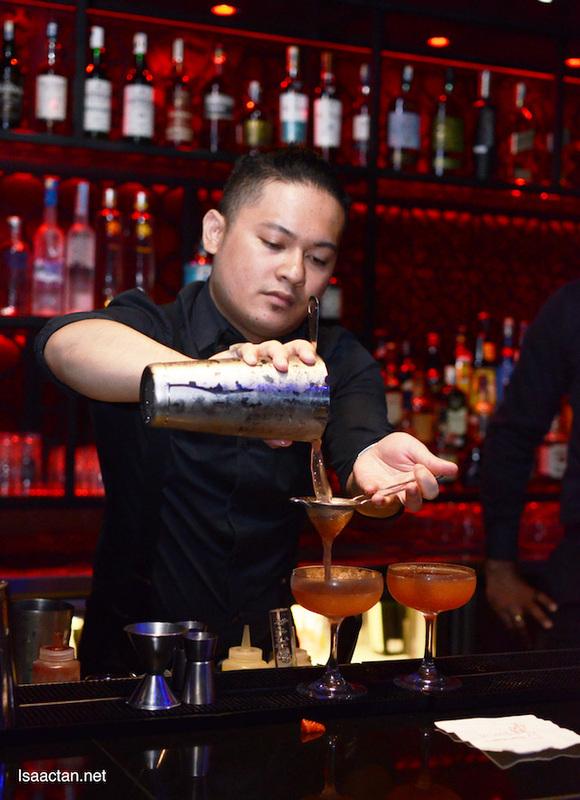 This year, the ENTERTAINER is pleased to introduce Cheers Malaysia 2017, which includes 1-for-1 offers exclusively redeemable on drinks in the hottest bars and restaurants. 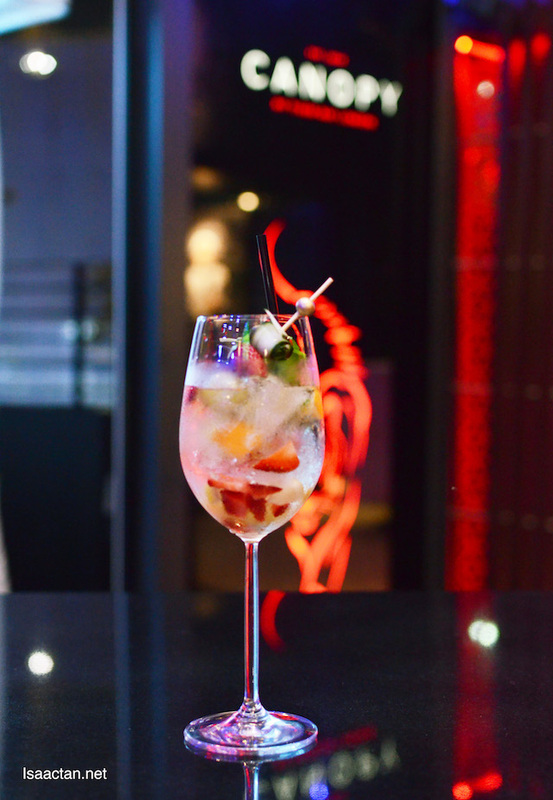 Offers range from single beverages to bottles of wine / spirits / buckets of beer, double cocktails, pitchers and more. 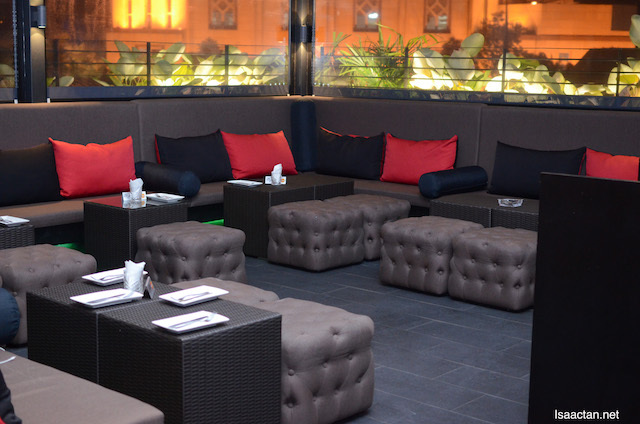 Popular venues include COMO, Torii, Goldbar, Myra's and here at Canopy Rooftop Lounge. Have you heard, you can also pay for your ENTERTAINER APP, in monthly instalments of RM15. Now you only need to pay for the months ahead. So you have 2 options either pay a onetime fee of RM80 (normally RM145) with my Promo Code ENTERTAINER2 (saving RM65) - purchase it , or just RM15 a month! Love how some of the dishes are a twist from the usual, different.